Going sideways at 135mph in a car would be impressive, but to do it on a bike takes the concept of powersliding to a whole new level! Silverstone is known for being a fast circuit, whatever the category of racing. In a car, the Woodcote corner is little more than a curved acceleration zone. On a superbike, things can be a touch hairier. 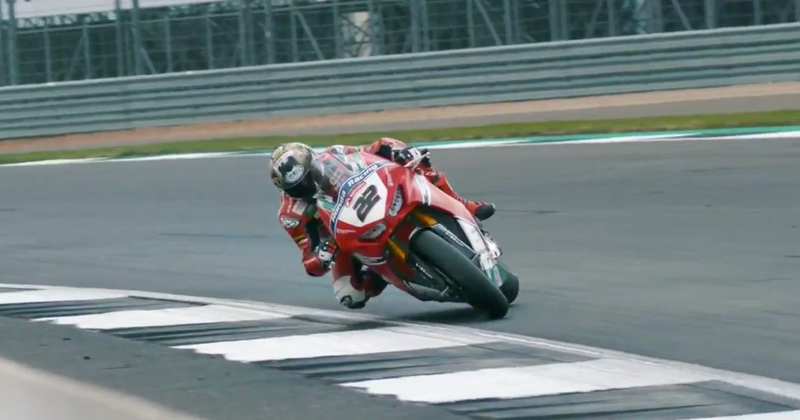 This slow-motion footage of British Superbike Rider Jason O’Halloran gets more ridiculous the more times you watch it. There are so many contrasting angles going on at once: the lean angle, the slide angle, the steering angle. Opposite lock on a bike is par for the course in Speedway and Motocross but on asphalt, at 135mph hitting the limiter in fifth gear? Unreal. Now, excuse us while we watch it a few more times.